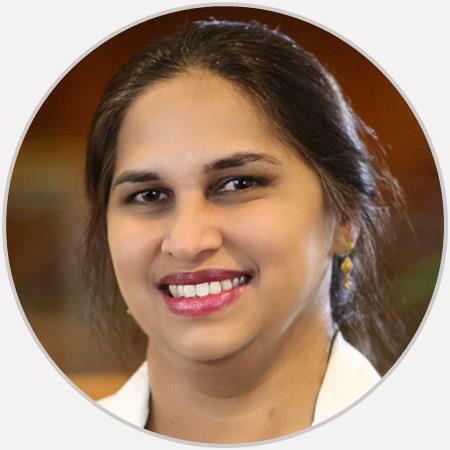 Dr. Mythili Seetharaman is board-certified in both rheumatology and internal medicine. Her areas of expertise include rheumatoid arthritis, osteoarthritis, psoriatic arthritis, gout, osteoporosis, and myositis. She also treats patients with various autoimmune diseases, such as lupus, Sjögren’s syndrome, and scleroderma. Tells you as it is and keeps it simple to understand your condition and how you should handle your condition. Dr. Seetharaman was extremely down to earth and took her time and was very thorough when we took our seventeen year old daughter to see her. Would highly recommend Dr. Seetharaman. Thank you for being so caring and understanding! You never feel like you're being rushed. She takes the time to explain everything. Dr. S is an excellent Doctor and has been very patient with me. I am so happy with her. I think she is the greatest!! Dr. Seetharan was very professional, personable and thorough. I felt comfortable with all the questions she asked and recommendations she gave regarding my dry conditions.